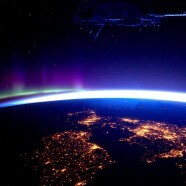 The UK Space Agency (UKSA) is making up to £50 k available for Aurora Science outreach projects. A key goal in the current UK Space Strategy is to increase awareness among the general public of the UK’s space programmes and of the role that space plays in everyday life. Head to the UKSA’s funding page for more information, and find the AO document here.